Most recent paleogeographic reconstructions of the supercontinent Nuna juxtapose the North Australian craton, Mawson continent (South Australia–East Antarctica), and Laurentia between 1.6 Ga and 1.3 Ga but differ in their relative positioning. The >10-km-thick siliciclastic Rocky Cape Group of Tasmania was deposited in an opening marine basin on the margin of East Antarctica during Nuna breakup. Based on a similar detrital zircon signature and depositional age, the Rocky Cape Group has been correlated with the upper Belt-Purcell Supergroup in Laurentia, thus representing a key tie point within Nuna. Here the detrital zircon age signature of Mesoproterozoic Rocky Cape Group quartzites is investigated by comparing new detrital zircon U-Pb-Hf isotopic data to an extensive compilation of zircon isotopic data from Australia, East Antarctica, and Laurentia. 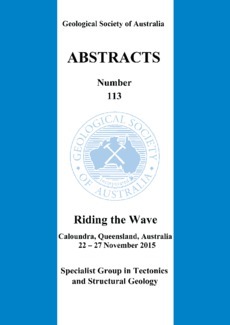 Our analysis demonstrates that the Rocky Cape Group is unlikely to have been sourced from any geological terrane exposed in present- day Australia. Instead, zircon U-Pb-Hf isotopic data from basement terranes in Laurentia and East Antarctica show striking similarities to the Rocky Cape Group detrital signature. Paleocurrent data indicate that the majority of sediment in the Rocky Cape Group was sourced from Laurentia, which was to the southeast (present-day coordinates) of Tasmania, supporting a SWEAT-like (southwest United States–East Antarctica) configuration for Nuna. We suggest that rifting left a thinned continental connection between East Antarctica and Laurentia onto which the lower-middle Rocky Cape Group was deposited between 1.45 and 1.30 Ga.